The Lew Read–Brian Waterer Club Champion Medal is awarded annually to the adjudged best player at the Leeming Spartan Cricket Club, as decided upon in a round-by-round vote count. Alongside the Graeme Ashley Award for Best Clubman, the Read-Waterer Club Champion medallion is considered by many to be the highest individual honour one can receive behind only Life Membership. The recipients of this incredibly prestigious award are listed below. The award itself is named after two of the Leeming Spartan Cricket Club’s biggest legends and stalwarts in Lew Read and Brian Waterer. These two figures have proven to be amongst the Club’s most pivotal and influential, responsible for over five decades worth of commitment to the cause. Lew Read was certainly one of the mainstays and core members at the Spartan Cricket Club for over twenty years since first debuting in 1946, becoming Club Captain and Coach in the 1965/66 season, a position he held for four seasons. 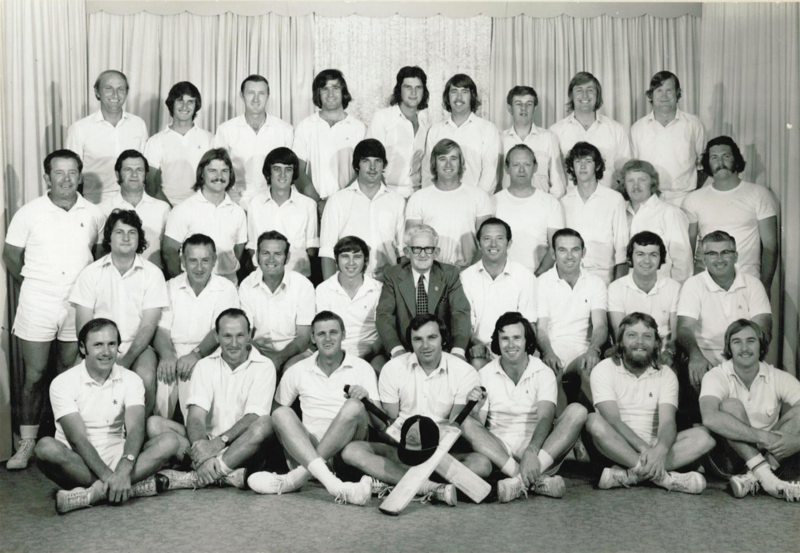 Brian Waterer’s name is synonymous with the Leeming Spartan Cricket Club, having been its most crucial member for the better part of five decades. Brian has served as Treasurer, Secretary, Vice President, and incredibly as President for twenty-seven years. 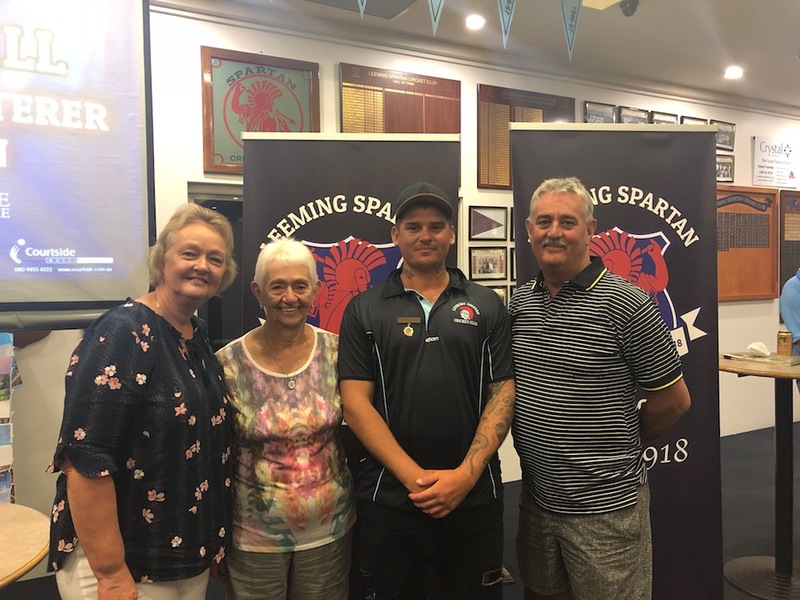 The service of these two gentlemen are amongst the greatest in not only Leeming Spartan history, but in that of all sporting clubs in the state of Western Australia. 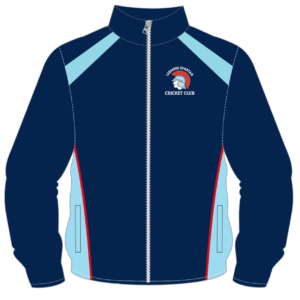 When the Club Champion Award was introduced by the Committee during the 1993/94 season, it was a mere formality to name one of the Leeming Spartan Cricket Club’s highest honours after them. In 1993 it was decided that the Club would look to expand its on-field awards and medallions by introducing a Club Champion Award for the first time. Leeming Spartan had always had its annual fairest and best awards, which was bestowed to the leading performer in each grade. This new award for the Club Champion would serve to announce the overall leading player amongst all members of the Club, regardless of the grade they played. This allowed all members the opportunity to be rewarded for a fine season alongside their peers, and not just those playing in the top side. To recognise two of its greatest players and administrators in Brian Waterer and the late Lew Read, the Club decided that it would name this award in their honour. All grades and players are eligible to win, with votes being awarded at the end of each game by their captain, with these votes to be counted at the end of the season and a special function to be held to announce the winner. Since Nick Sparks became the inaugural winner of the Lew Read-Brian Waterer Club Champion in 1994, the award has quickly risen to one of the Club’s greatest individual honours. One of the contributing factors to the award’s status within the Club is the fact that it culminates in an annual round-by-round voting system, which is then presented in the form of a keynote to all Club members. Any member from any grade within the Leeming Spartan Cricket Club is eligible to win the award. 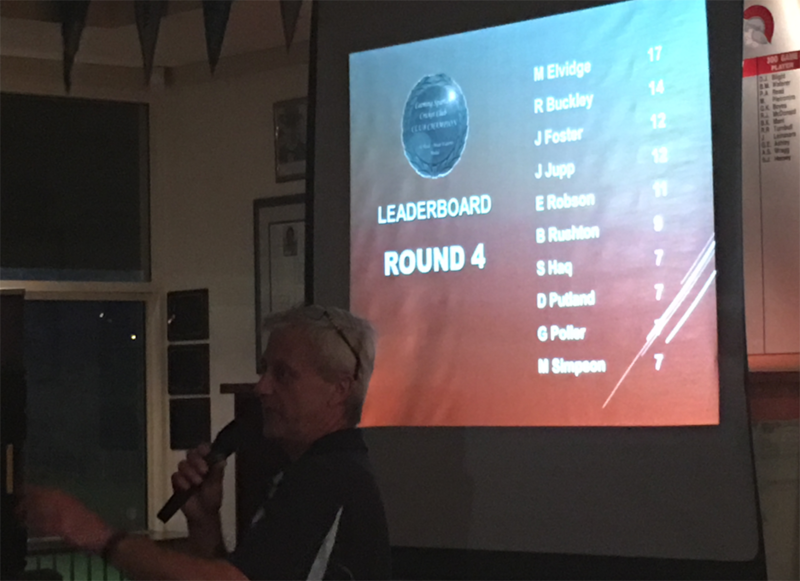 A winner is decided through the issuing of votes throughout the home and away season by their captains, which is then painstakingly tallied line by line by a senior member of the Committee and then presented at a special function now known as the Read-Waterer Medal Count. Votes can be awarded by the captain to a player (including themselves) for any number of purposes or contributions, whether it be fielding, batting, or bowling, or something less defined. Not all votes need to be given out in any one fixture. It is worth noting that the higher grades carry a greater weighting, and points issued in two-day matches are worth double those issued in a one-day fixture. Captains can allocate a maximum of eight votes in total in the One-Day Grades (e.g. One Day ‘A’), and a maximum of four votes to an individual. Captains can allocate a maximum of twelve votes in First Grade and eleven votes in all other two-day grades when the match is a one-day fixture. When these grades play their regular two-day matches, the maximum votes remain the same, however, their worth is doubled during the final count (i.e. a person who receives 5 votes in a two-day game will actually receive ten). The Spartan Cricket Club in 1968. Lew Read sits third from the left in the third row from the back, whilst Brian Waterer is seated fourth from the right in the same row. Jack Knox-Peden, for whom our Young Spartan Award is named, was President at the time and sits to Brian’s right in suit and tie. Note that the two-day grades play in both a two-day competition and a one-day competition, which is why there are two separate entries and voting systems for those grades. Lew Read’s name will likely never be forgotten at the Leeming Spartan Cricket Club, and he is very much at the heart of the Club. 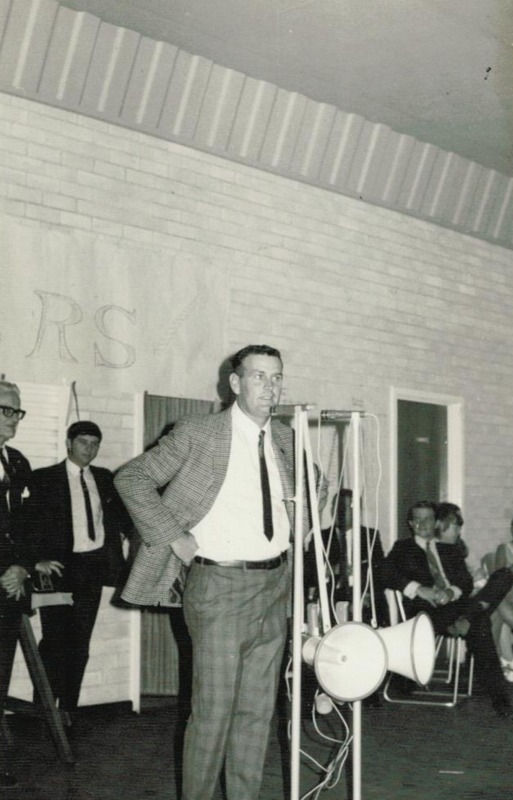 Lew Read, just after receiving his Life Membership in 1970, taken at the Jandakot Hall six months before his passing. Read first debuted for the Club in 1946, and quickly established himself as an integral figure within it, with his inspiring on-field leadership, magnificent sportsmanship and wise council in Club administration some of his many assets. Read was Club Captain and Coach in the 1965/66 season, a position he held for four years, and has served as Treasurer in 1958. Lew was Vice President (under Brian Waterer) in 1978 until 1980, his final season at the Club. In that 1979/1980 season, Lew had an outstanding year on the field, accumulating 289 runs including a century, before winning the Fourth Grade Premiership that year in a side known as ‘Dad’s Army’ for its mostly older playing eleven. 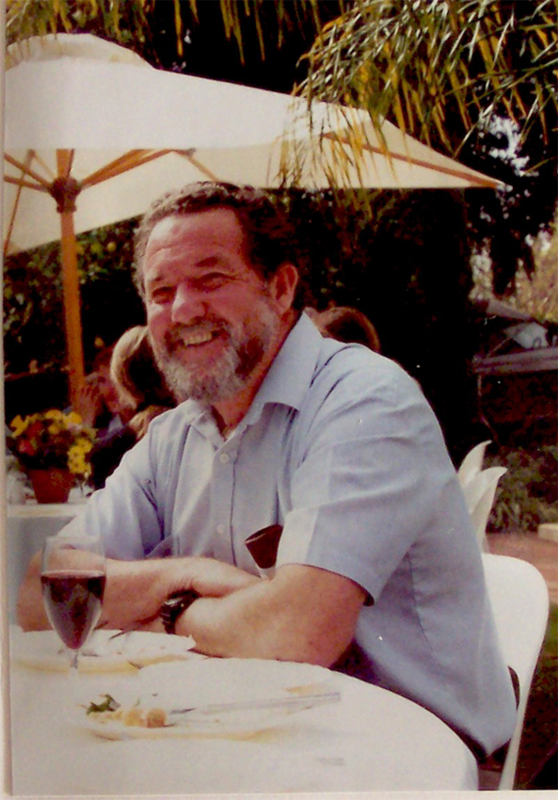 In late 1980, just as the Club moved to a brand new home ground and clubhouse at Trevor Gribble Reserve in Bull Creek, Lew Read had unexpectedly passed away following major surgery. In a 205 game career, Lew compiled 5138 runs and took 129 catches, captained in 89 games, and won both a First and Fourth Grade Premiership respectively. 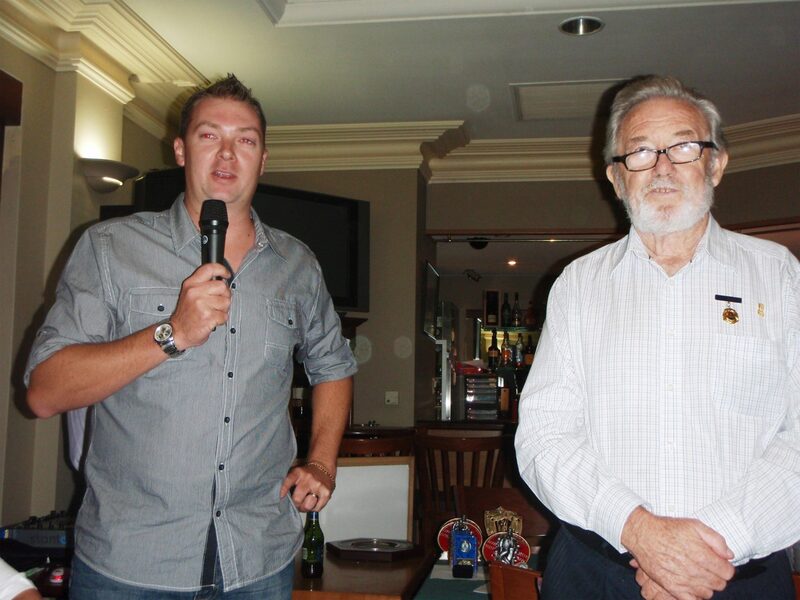 Lew Read has been forever immortalised in the history of the Leeming Spartan Cricket Club, and deservingly so, for his unwavering and ongoing contributions and support for over twenty years. Brian Waterer’s name is synonymous with the Leeming Spartan Cricket Club, and his commitment which extends more than six decades is certainly unparalleled. Since joining the Spartan Cricket Club in the 1958/59 season, Brian has gone on to be one of just five players to have played more than 400 games for the Club. Brian Waterer, above, served as President for twenty-seven years. His dedication off the field is even more commendable, immediately taking on the role of Treasurer and later Secretary in just his second year at the Club. He served in these positions until 1971, and in 1973, took over the role of Vice President. Most remarkably, Brian became our top official in 1978 when he succeeded Jack Knox-Peden as President, and would later go on to hold the position for a record twenty seven years across three separate stints, finally retiring in 2007. His dedication to the Club is likely never to be equalled, and he is one of the (if not the) most vital reasons as to why the Leeming Spartan Cricket Club exists as strongly as it does today. In 2008, Brian was awarded the Fifty Years Of Service Award from Cricket Australia, the sport’s national governing body, for his immense efforts. It is hard to describe in words how vital the efforts of Brian Waterer have been to the Club, and to have a clubman dedicate such outstanding efforts for such a long period of time is quite frankly incomprehensible. Brian is very much the heart of the Leeming Spartan Cricket Club, and it is a mere formality to have named our Club Champion Award in his honour. The Read-Waterer Club Champion Award was first awarded in the 1993/1994 season. 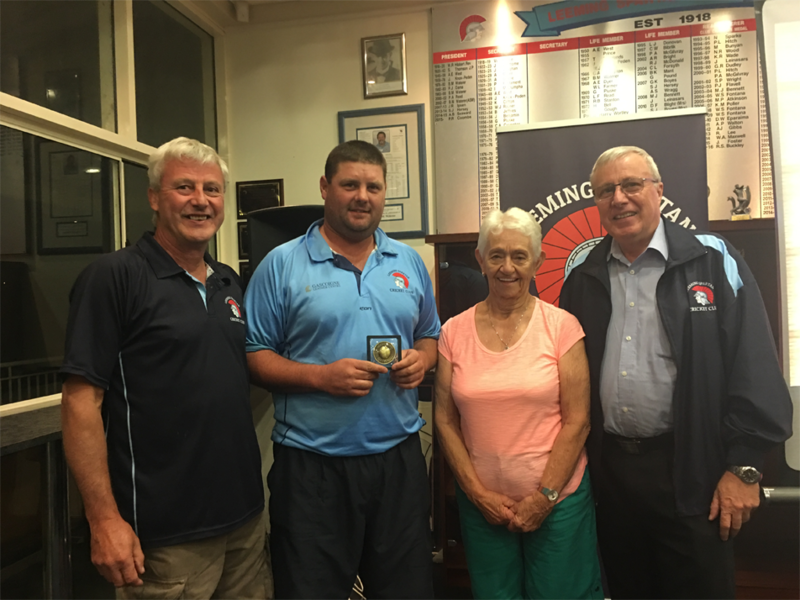 Nick Sparks won the inaugural Club Champion medal on the back of an outstanding season as an opening bat and spin bowler in the Second Grade. A total of 22 individuals have won the award in 23 separate medal counts. Currently, 2000/2001 is the only season in which there has been dual winners. Paul Hitch and Peter McGilvray both finished on equal points in that season. Wayne Fontana is currently the only Spartan to have won the award more than once, for a total of three times. Wayne Fontana is currently the only Spartan to have won the award in consecutive seasons, which he achieved in 2007/08 and 2008/09. Eight Spartans have won the award in the First Grade competition. The lowest grade from which a winner has won the Club Champion award is from the Sixth Grade, on three occasions, firstly in 1999 by Jim Leinasars, again in 2003 by Phil Flavell, and most recently in Andy Walton in 2011. Ryan Buckley‘s victory in 2016 was the first time since Wayne Fontana in 2008 that the winner had been from the First Grade. Kodie McKrill, in his first season at the Spartans, is the most recent winner of the award, winning by a seven votes for a fine season in the First Grade. Kodie McKrill (three from the left) is the reigning Read/Waterer champion, having won the medal in 2018 on the back of an outstanding season in the First Grade. He is pictured alongside Life Members Deb Blight (left), Lydia Read (second from the left) and Peter Read (far right). Todd Gill (two from the left) comfortably won the Read/Waterer Medal in 2017 on the back of an outstanding season in the First Grade. He is pictured alongside President Peter Coombs (left), Lydia Read (right) and Platinum Sponsor Robert Coombs (far right). President Peter Coombs speaks at the conclusion of the Round 4 vote allocations during the 2015/16 Read-Waterer Medal Count. Ryan Buckley won the award. Sean Wright (left) a previous winner of the award speaks at the 2011 Windup alongside Brian Waterer. Left Image: Wade Maxwell (centre) won the Award in 2014. Here, he is pictured alongside Lydia Read (left) and Brian Waterer (right) at the 2013/14 Medal Count. Right Image: Josh Foster (right) won the award the following season. Here he is pictured alongside President Peter Coombs (right) at the 2016 Windup.